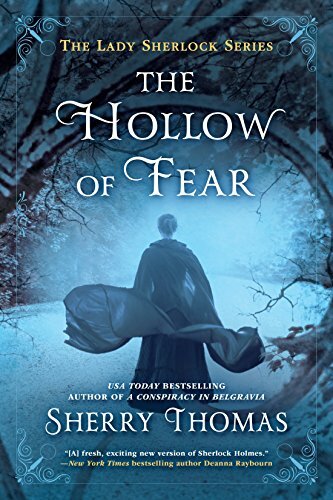 A beguiling mystery, unique romance and dynamic characters make the Hollow of Fear a perfect readcation for female Sherlock Holmes fans. Set in Victorian England, the Hollow of Fear follows Charlotte Holmes and Mrs. Watson. Looking for her half-brother, Charlotte runs into Moriarty’s handiwork. Also, when Lady Ingram turns up dead, Lord Ingram is suspected. Charlotte must find the real murderer to clear his name while her relationship with the Lord takes an unexpected turn. The use of Victorian language and plot devices (hidden tunnels and a multitude of disguises) matches the original Holmes atmosphere well. I especially liked the unusual romantic dynamic between Charlotte and Lord Ingram. Despite swapping genders of some characters and a very 21st century feeling to Charlotte, the mystery felt like it belonged in the Sherlock Holmes canon. It definitely wasn’t easy for this armchair detective to solve. This is my first book in the series. While understandable as a stand alone, I felt the tale would have been more enjoyable if I had read the two previous books first. Regardless, it is a solid 4 star read! 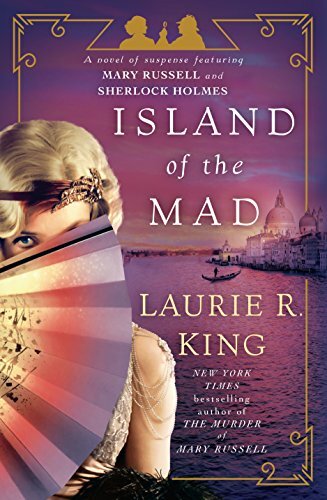 Mary and Sherlock are back to work in Island of the Mad. Mary’s old friend Ronnie’s “mad” Aunt Vivian has disappeared. Returning early from a home visit to Bedlam, both Vivian and her caregiver never arrive. After a search fails to find her, Mary and Sherlock are enlisted into the search. Mary enters Bedlam undercover as a patient. Lady Vivian has reason to believe Bedlam is a safe harbor and her lifestyle before entering comes into question. The search continues among the rich internationals in Venice. This is the first book in the series I’ve read and it works as a stand alone. However, some of the teases to what happened to Watson and Mrs. Hudson make me look forward to reading some of the earlier entries later. 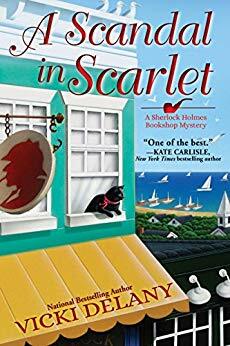 I selected this series because of glowing references to it in the Sherlock Holmes Bookshop series by Vicki Delany. This book is highly recommended to Sherlock Holmes fans. It is also great for historical fiction fans interested in the build-up to World War II in Europe. It’s 1925 and the fascists are afoot! I thoroughly enjoyed the well-researched Sherlock Holmes references along with all the characters. Mary, being a feminist, was especially enjoyable. 5 stars! Thanks to the publisher, Bantam Books, and NetGalley for an advanced copy. “The word is murder. That’s what matters.” And so begins another original take on a thriller from Mr. Horowitz. First person meta-mystery where the author plays himself as Dr. Watson to a memorable, recently disgraced, consulting detective, Hawthorne. To avoid confusion, when referred to as Mr. Horowitz, I am speaking of the real author. I will use Anthony to denote the author character within the book. Anthony is approached by an acquaintance, Hawthorne, to write a book about the case he is working on. Hawthorne is an outside consultant to the police whenever a particularly difficult case comes up. This case begins when Diana Cowper goes to an undertaker and plans her funeral down to the psalms and songs. Six hours later, Diana is dead, strangled in her living room. Hawthorne and his shadow, Anthony, inspect the murder scene, interview witnesses and decide on a lead suspect. However, Anthony quickly realizes that Hawthorne is an brilliant secretive unsympathetic homophobe. So Anthony decides the only way for him to continue writing the book is to investigate Hawthorne. I love the concept of the Word is Murder but not so much its execution. 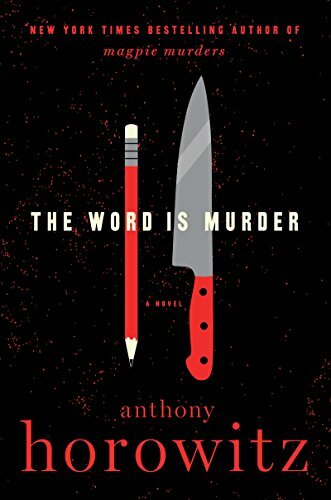 Using Anthony as the narrator in a first-person mystery begs the question how can he be fooled by red herrings when his real self is writing them. It just feels like a manipulative con man is pulling the reader’s strings. However, the book’s conclusion is brilliant and well worth a read. 4 stars! Thanks to the publisher, Harper, and Edelweiss for an advance copy. The famous Sherlock Holmes story is adapted into a graphic novel. Holmes is asked to investigate the death of Sir Charles Baskerville. Sir Charles appears to have died of fright while walking on the foggy moors near his estate. Mysterious footprints of a hound are found nearby. The locals suspect a centuries old curse on the Baskerville house is to blame for Sir Charles’ death. Set in atmospheric Dartmoor England, Dark Tales: The Hound of the Baskervilles is one of the first psychological thrillers. This is also one of few stories where Watson gets to play detective without Holmes initial assistance. The plot lets the reader also play detective as all the clues to the conclusion are there, but not necessarily in plain sight. The story was written in 1901 but remains relevant to today’s audiences. The Hound of the Baskervilles is usually regarded as Arthur Conan Doyle’s finest Sherlock Holmes novel. It is based on a legend surrounding a real English Squire in the 17th century. 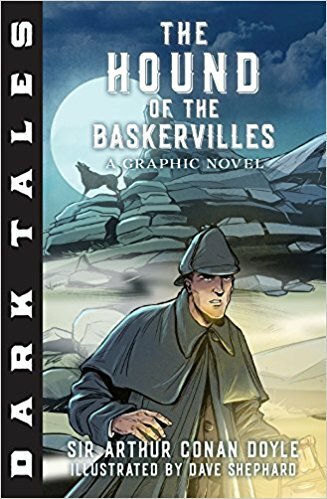 Dark Tales: The Hound of the Baskervilles is a great way to attract new, especially younger, readers to Doyle’s intriguing plot. One note for viewers of the famous 1939 movie with Basil Rathbone, the movie added scenes particularly at the end. This graphic novel follows the book’s plot perfectly so nothing is lost in the translation. For parents and teachers of mystery readers who are reluctant to read the original novel, this is an excellent choice. For all others, it receives 3 stars. Thanks to the publisher, Quarto/Canterbury Classics, and NetGalley for providing an advanced copy.